I bought a new house and moved in about a year ago. The boiler is a Burnham P204-WI with big cast iron radiators. It's old but seems to work well and keeps the house comfortable. 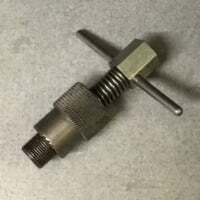 I've noticed a lot of talk on here about return temperatures and corrosion. It looks like most people have a return temp far above my max temp. My boiler cycles once an hour and completely shuts down after each cycle. Before a cycle begins the water temperature is close to room temperature. The hottest I've seen it get before shutting off is only 120. Is this the way my boiler should work? This seems a lot different than what others are describing. Please let me know what other info you need. I'd appreciate any input. 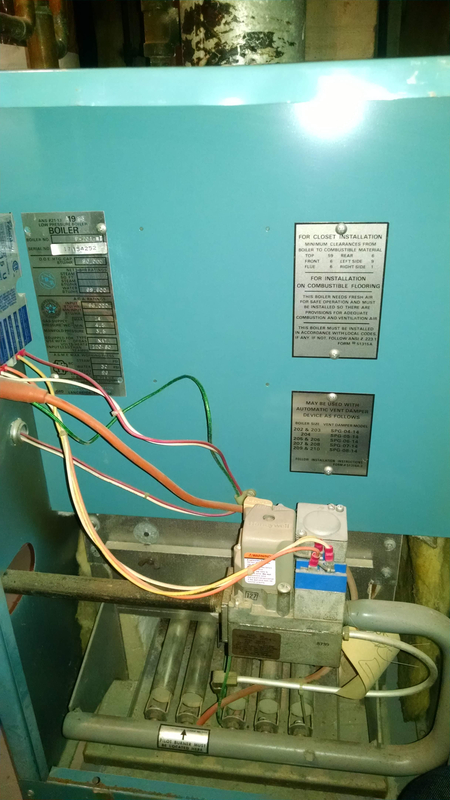 You need to protect the boiler from low water return temperatures, either mechanically, with a mixing valve, or with a control strategy. 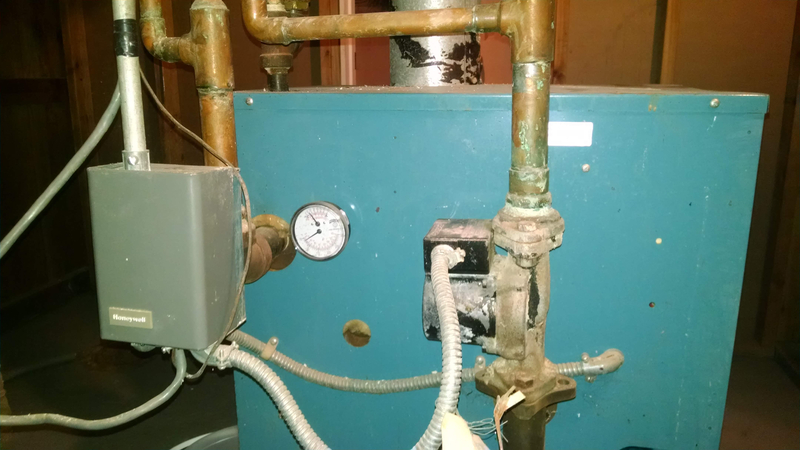 Post some pictures of the boiler with the front door off, its near-boiler piping, and mention any controls we cannot see from the photos. Here are some pictures. Sorry about the quality. It's hard to get a good shot from inside the small boiler room. As far as I know everything should be working properly since it's been this way for the past 30+ years. I don't see any corrosion on the flue going into the chimney. 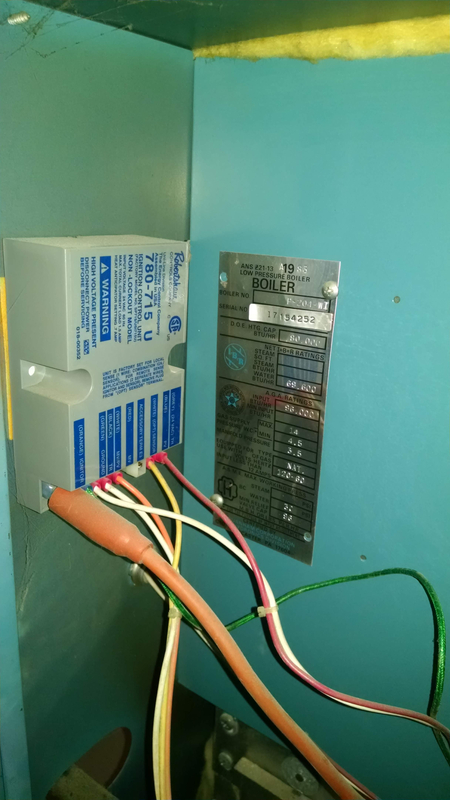 I became concerned because boiler heat is new to me, and I saw that most people on here run theirs at much higher temps and don't shut down completely between cycles. Can you tell from the pictures if there is some type of protection from the low return temps? Also, I have the CPH set to 1, which is comfortable, but would it be more efficient to set it to 2 or 3 so the boiler doesn't cool down completely between cycles? Thanks for the help. With my boiler setup is there any benefit to using 2 or 3 CPH if 1 keeps my house comfortable? I think 1 would cause less wear on the boiler, but 2 or 3 may keep the water warm between long cycles so it could provide better efficiency? What do most people use with similar setups? One quick fix you could do is insulate your piping, both mains and returns. The copper coming out of the boiler goes to much larger black iron, was this originally a steam system that was converted to how water? I'm not sure. Most people in this area don't have steam for some reason. 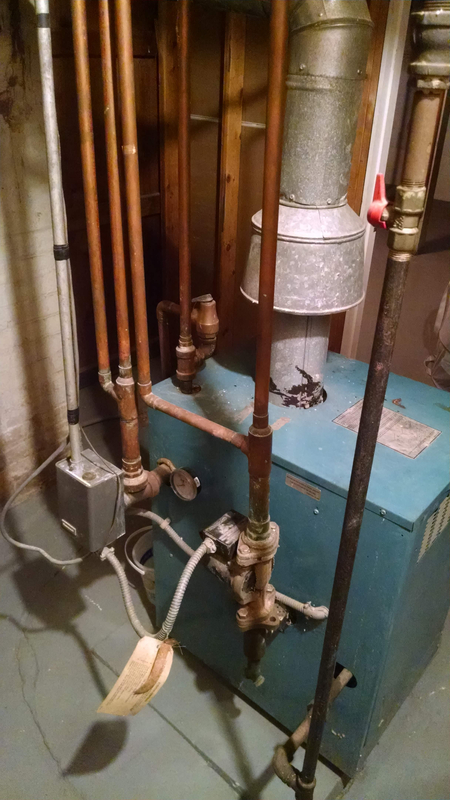 I'm guessing it was probably a gravity type boiler that was converted to what I have now. Hopefully this was done correctly. 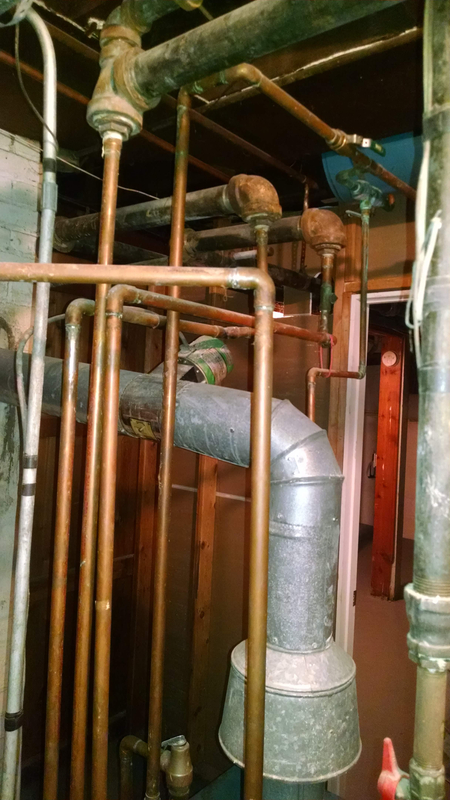 A lot of the pipes are insulated, unfortunately they are wrapped in asbestos. The ones coming out of the boiler and a few others that are not insulated are directly under the main living areas, so I think most of the heat makes its way from the basement to the 1st floor? It's still probably a good idea to add the insulation. 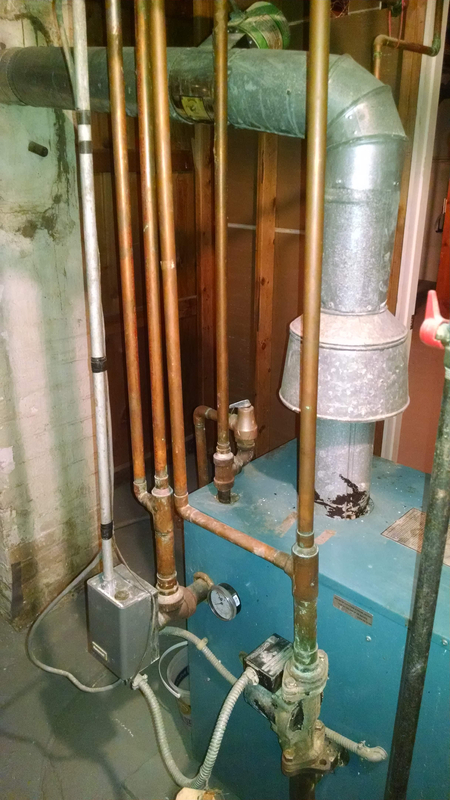 A friend of mine that had a giant old boiler upgraded to a new high efficiency boiler. He's saving a little money, but now complains that the floors are cold because the new one doesn't leak any heat into the basement and warm the floor above.